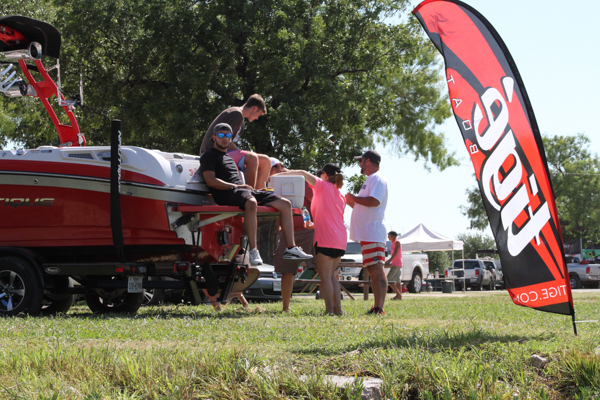 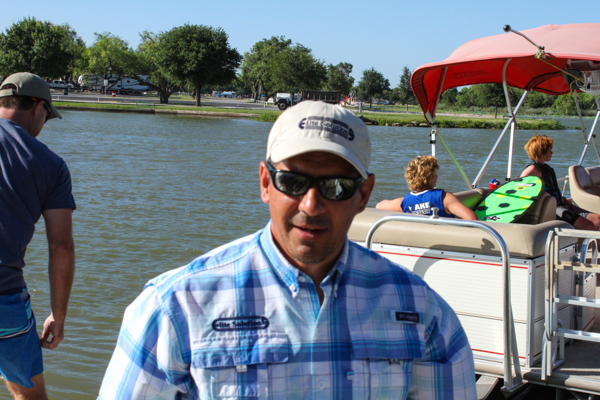 Everyone arriving at the park on the water's edge at Nosworthy Lake would agree, it was a hot Texas day! 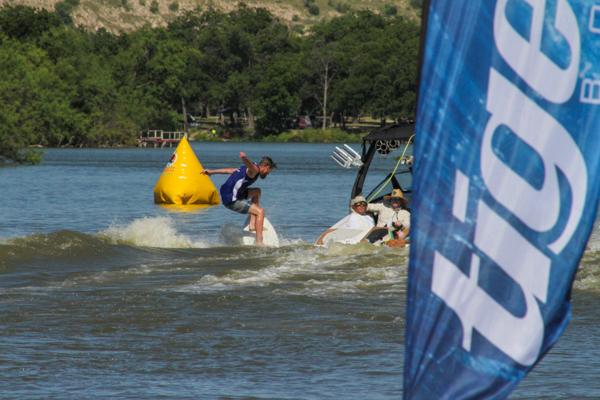 It didn't take long to figure out that jumping in would be our repeated relief. 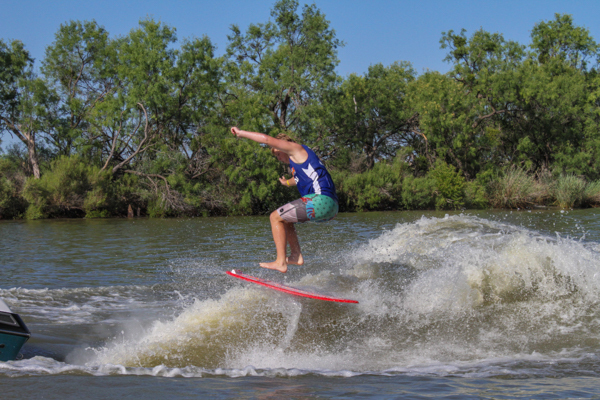 The water temperature was perfect! 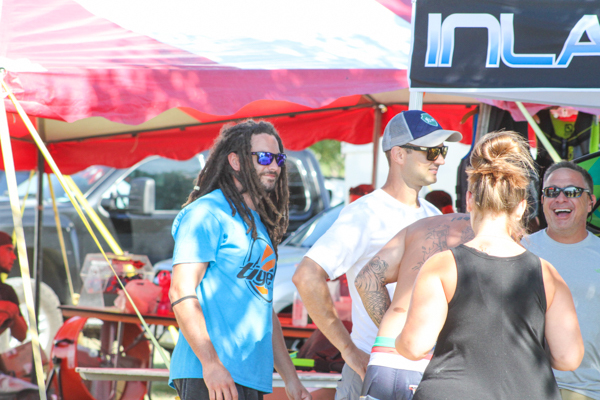 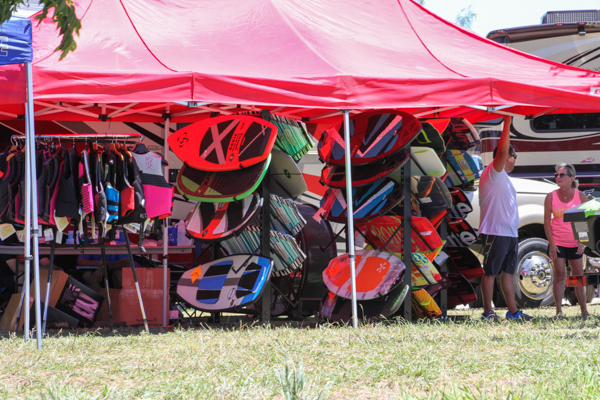 Spectators were everywhere - wading in waste deep, sitting under vendor tents, watching from their vehicles as the shoreline filled up to see the wake surfers & wakeboarder’s shred it up all weekend. 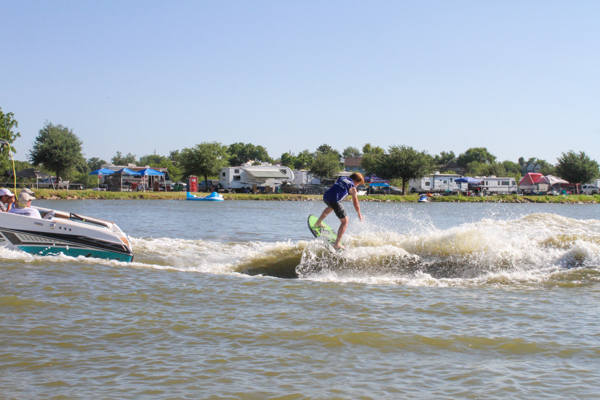 Friday started off with all Beginners, Amateurs, Long Board and Masters Divisions; and a great turn out. 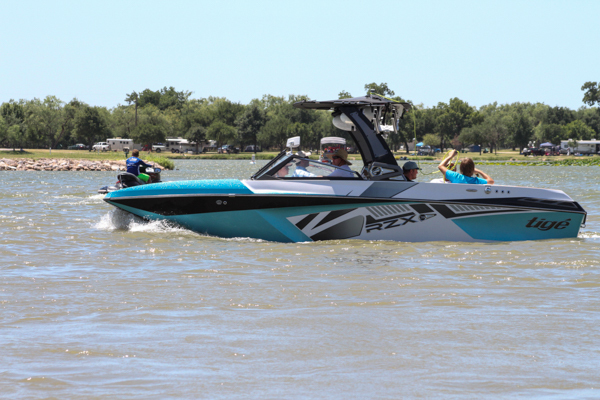 We could watch the riders with our eyeballs from shore fairly easily, since the Tige' RZX was only crossing 20 yards away, or we could sit down in front of viewing monitors to watch the Broadcast feed by Wake9. 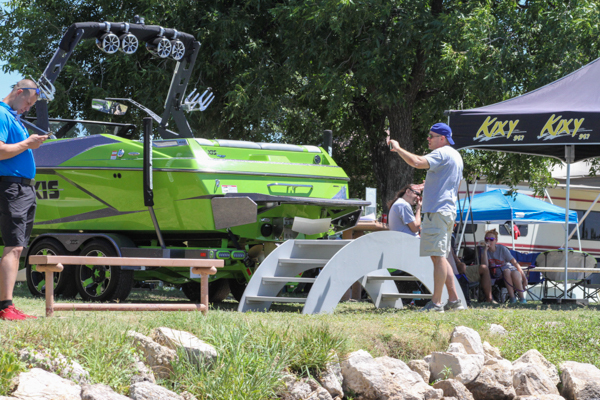 Even if you weren't paying attention visually to the action, Greg Lawrence was giving an entertaining second by second coverage of the performance, as he Emcee'd the event. 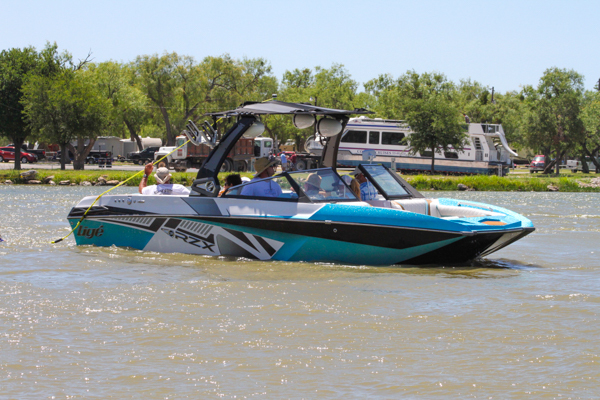 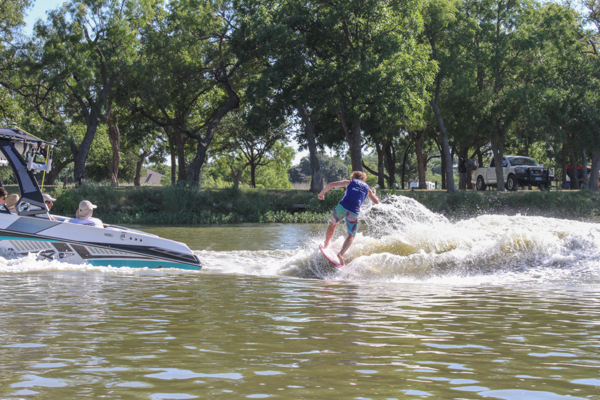 The surfing gave way to the wakeboarders each afternoon, and they swapped out the 2016 Tige' for a 2016 Malibu. 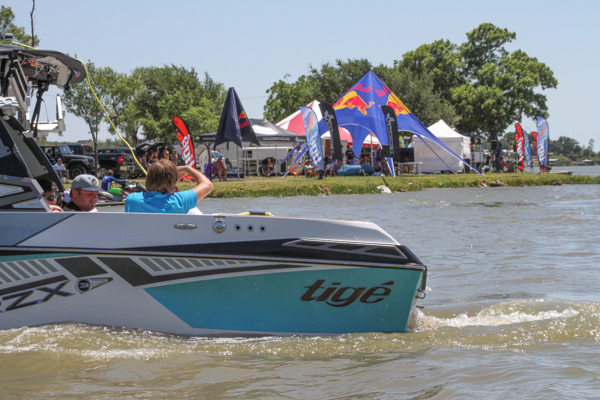 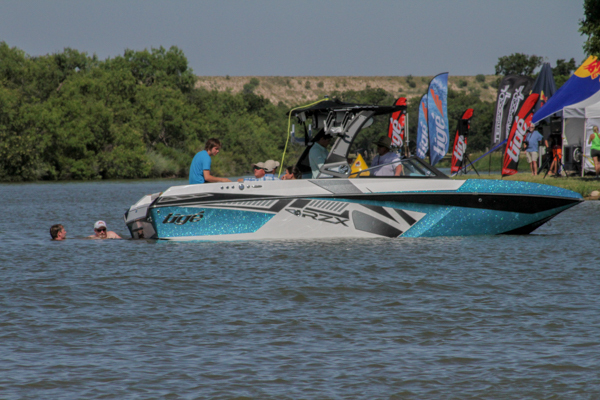 Saturday took on the task of getting each Outlaw and Pro rider out behind the Tige'. 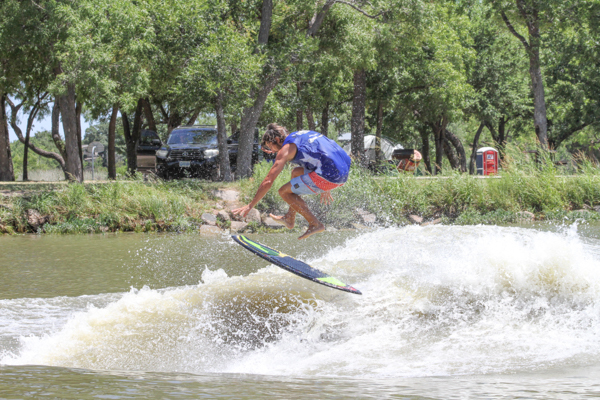 The way it worked at this event seems favorable to high-performance runs and lines by the riders. 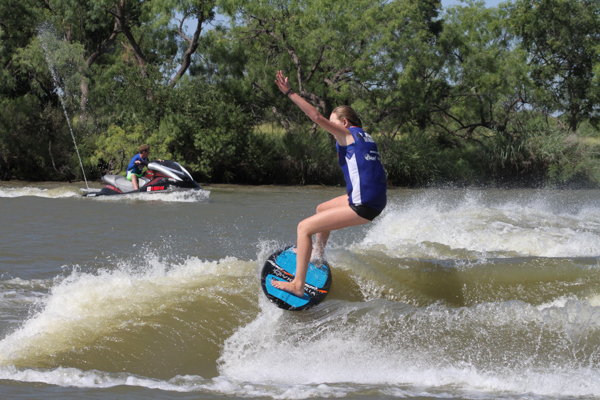 Each rider had 4 Runs. 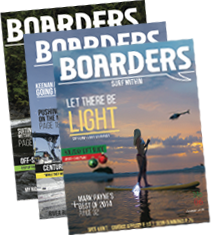 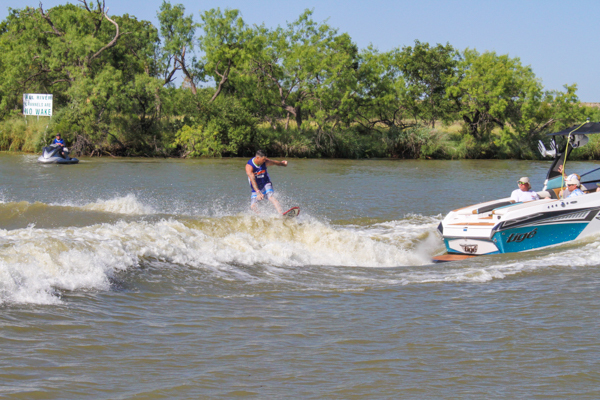 Each Run was considered to be a pass behind the boat between the start buoy and end buoy. 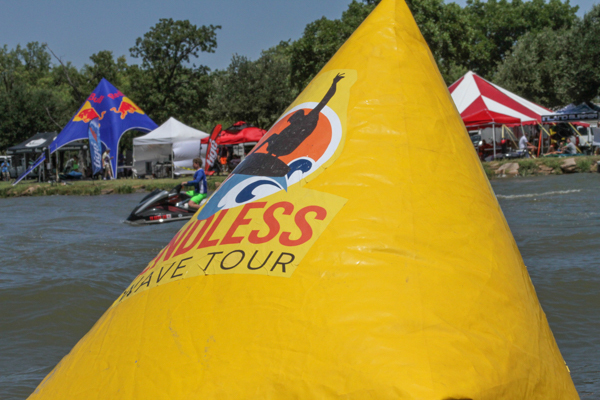 The final scores after 2 days (4 runs) would be the “best 2 out of the 4 runs” - and riders were permitted only 2 falls per run. 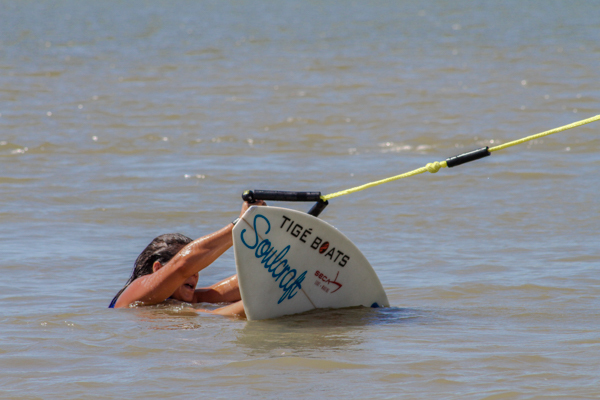 This worked out well for those that might have had a bad pass, because they were able to just go bigger or try again on the next pass. 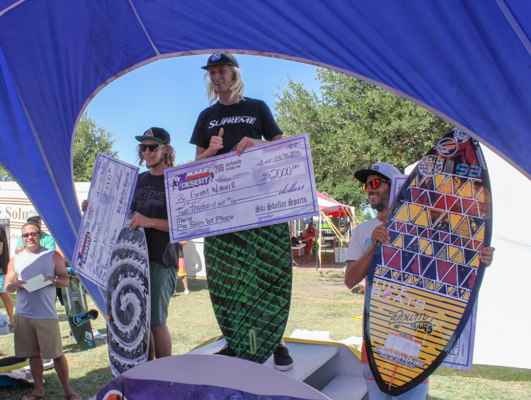 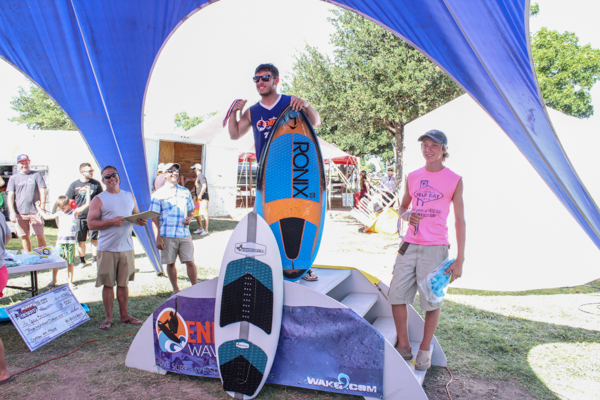 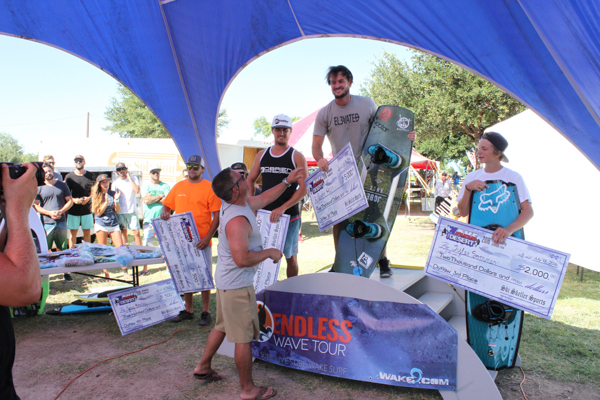 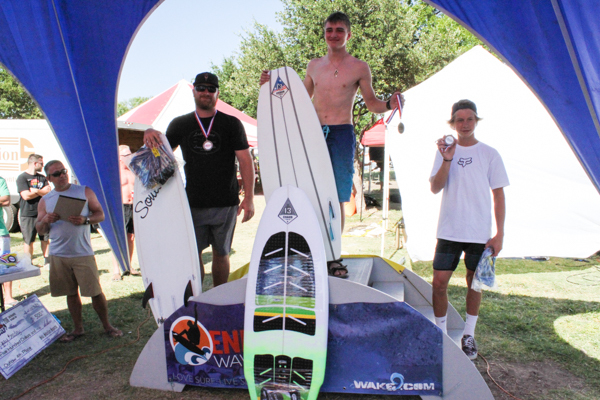 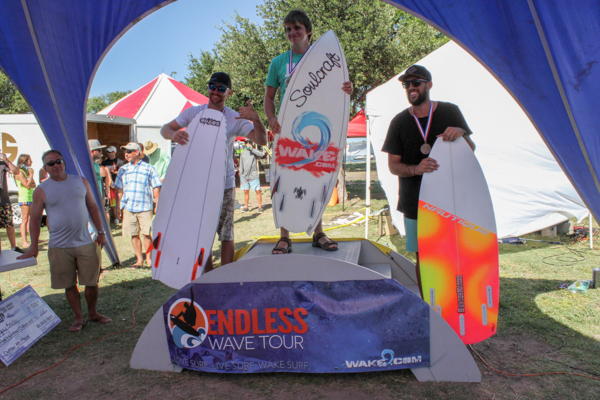 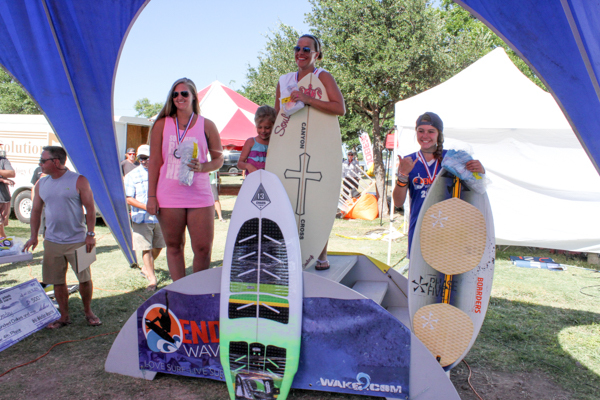 After two days of competitors and jumping in and out of the water by everyone watching, the results were tallied and winners announced. 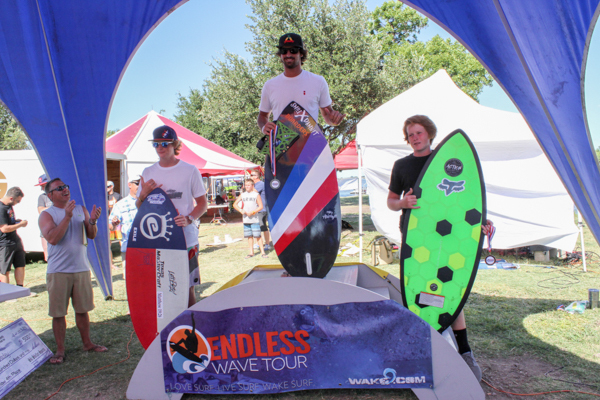 Great show by all involved, the judges had their work cut out for them. 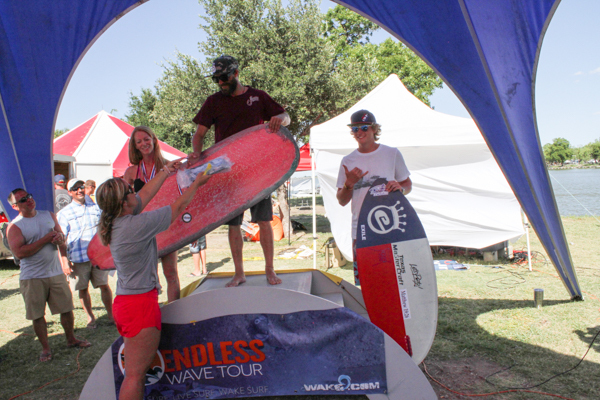 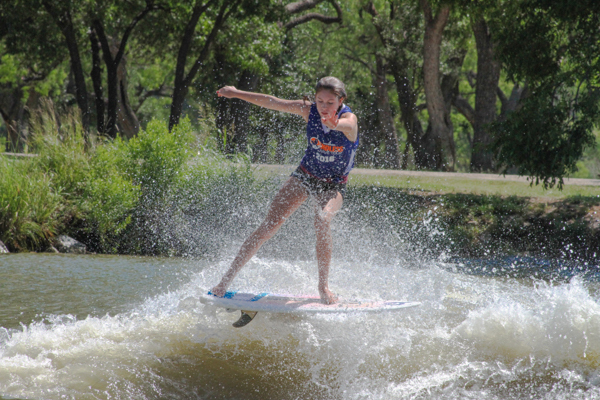 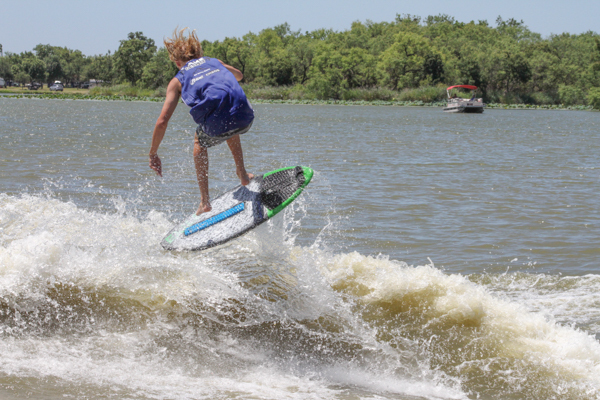 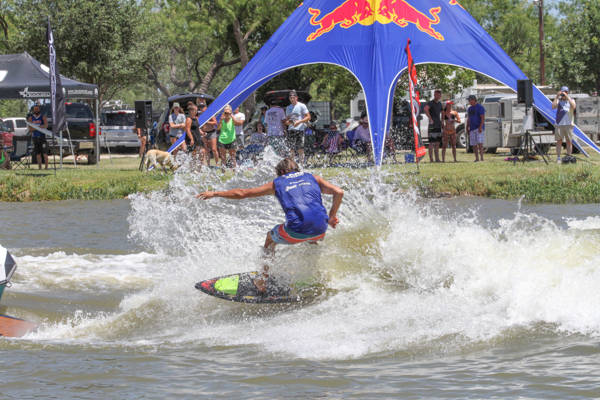 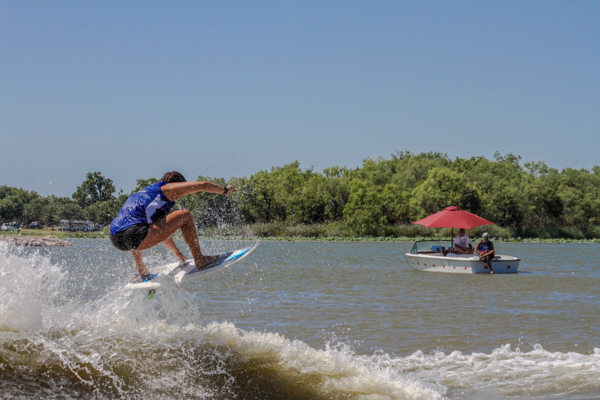 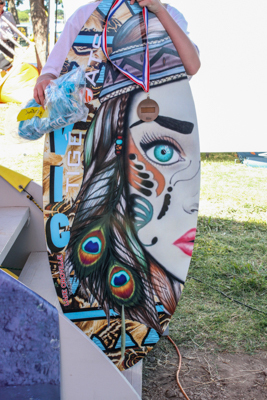 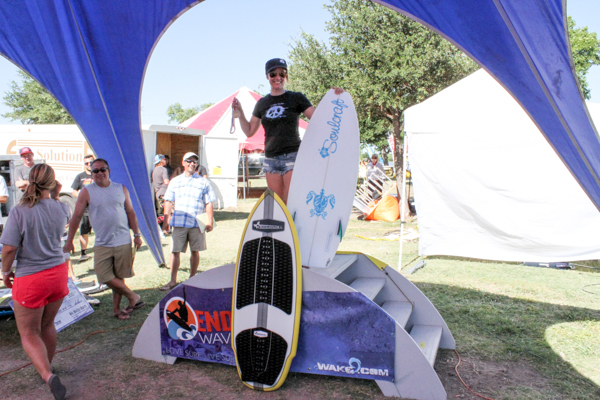 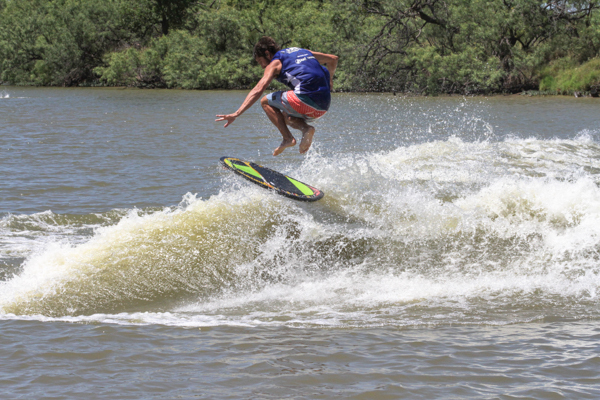 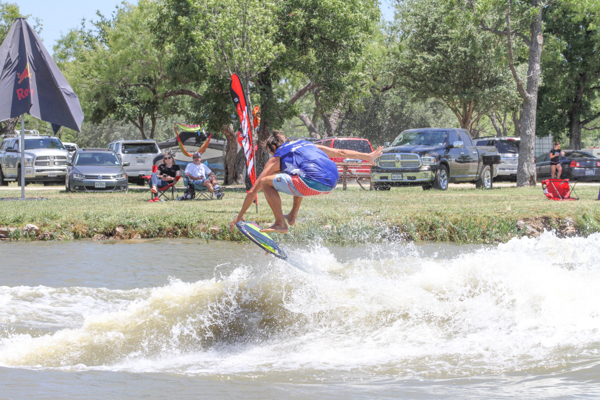 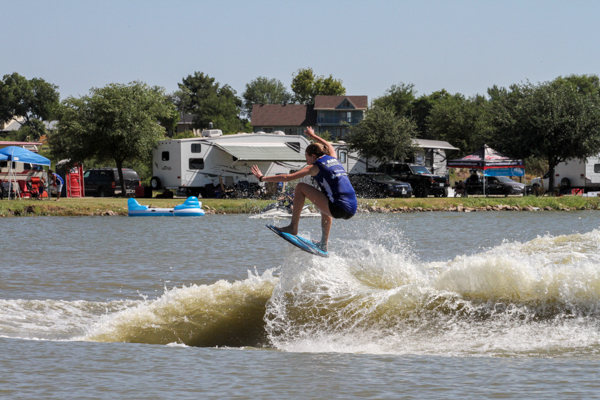 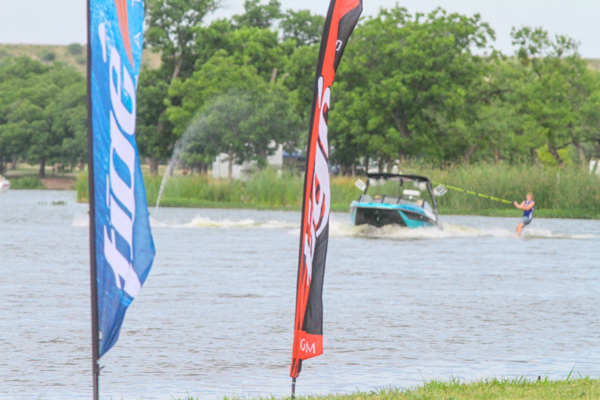 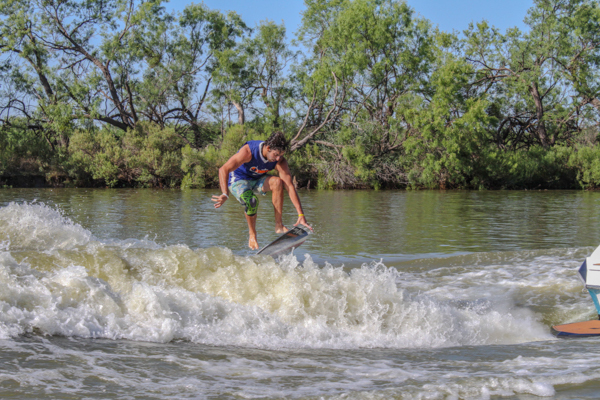 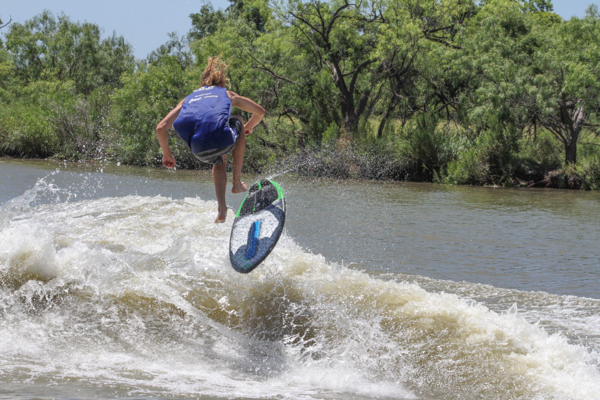 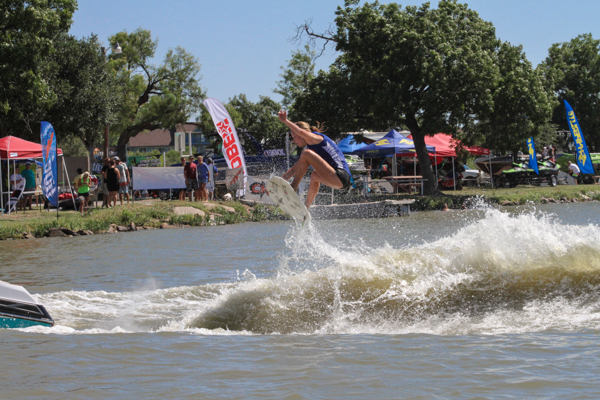 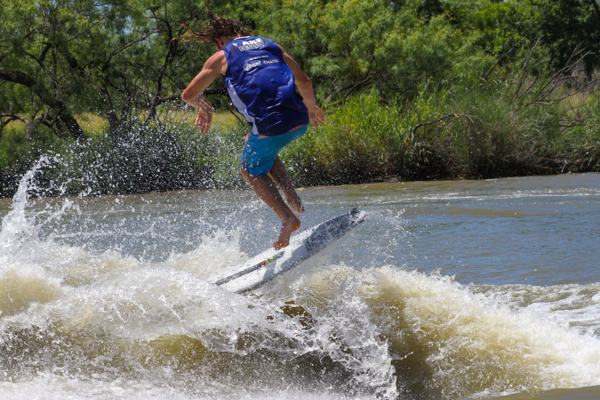 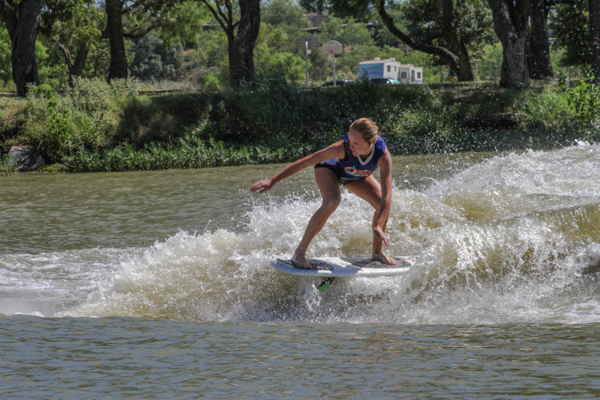 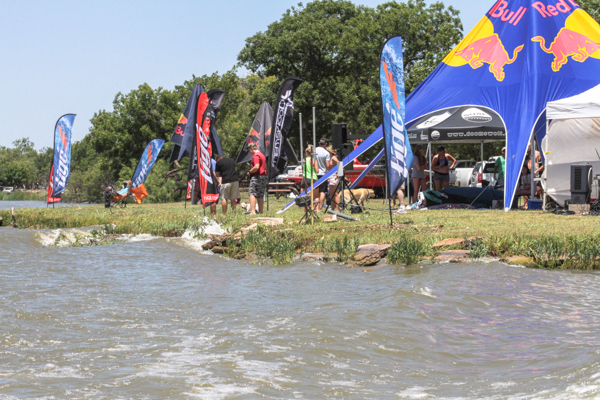 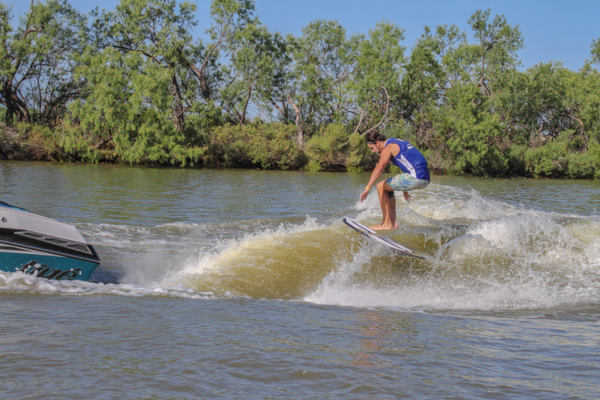 Special thanks to all for putting on a great event, and one of the longest running Wake Surfing events in the nation. 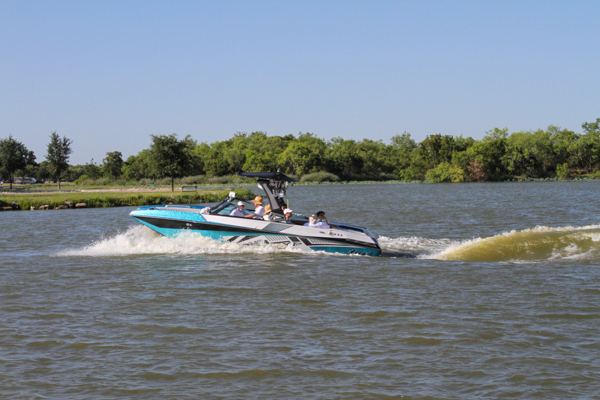 Next year hopefully we can enjoy deeper water, as it was my understanding that the boats were operating in less than 9 feet of water. 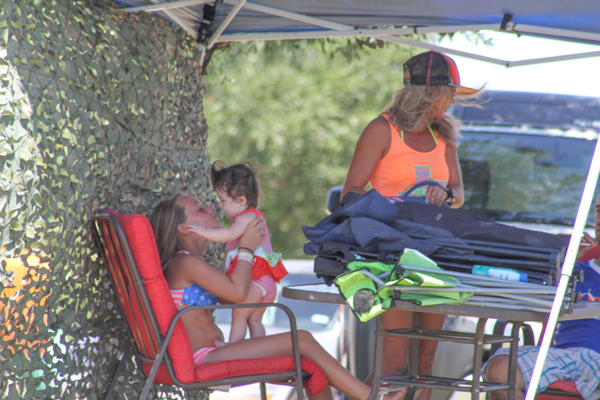 Broadcast could be improved as well, so that the live feed wasn't so on and off, and perhaps the monitors could be in darker tents so that the sun didn't wash out our ability to see the screens. 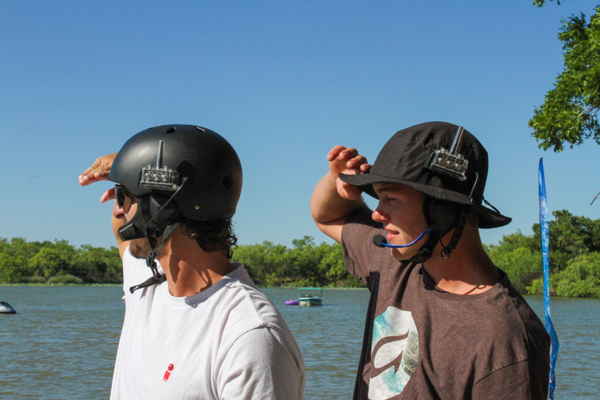 It was actually easier to see the riders from the shore than squint at the television screens discerning shadows from LED Pixels. 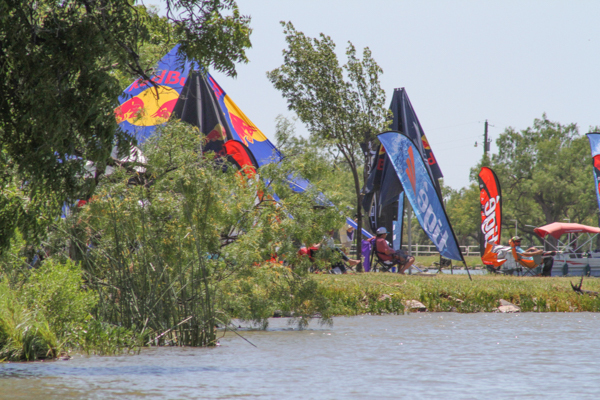 We would recommend this event to everyone involved, and also recommend bringing your own tent to sit along the shore. 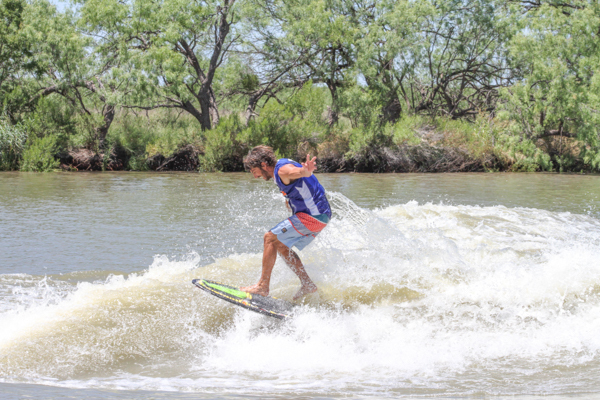 Next year will be bigger than this year, so make a plan to be in San Angelo and have a great time in the desert.